I just blank the Clara story out and pretend it never happened it was absolutely ridiculous, Moffat has written some good stuff but also some absolute tripe, why would you mess with the mythology, let’s hope Chibnall isn’t the same. He said he is playing someone important in an interview and said it is ‘an honour’ to be playing him. Well if this is to be the Doctor’s most traumatic regeneration yet…maybe he needs his old mentor again to help out and ease the process.. 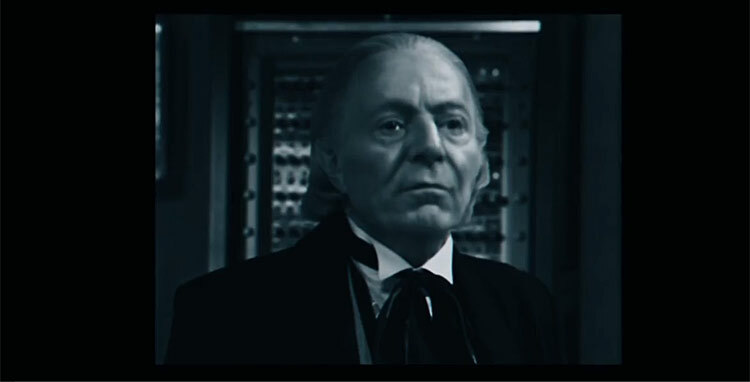 The tenth planet will always be the tenth planet. 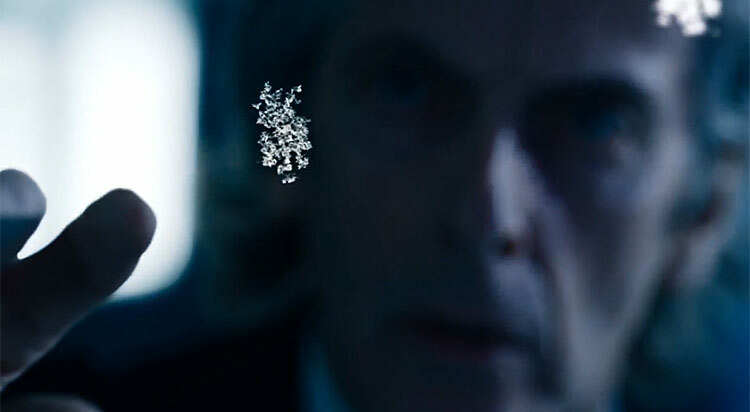 This is all speculation but if correct then these are just like tenth planet extras that weren,t seen on original transmission. Ican,t see the problem. 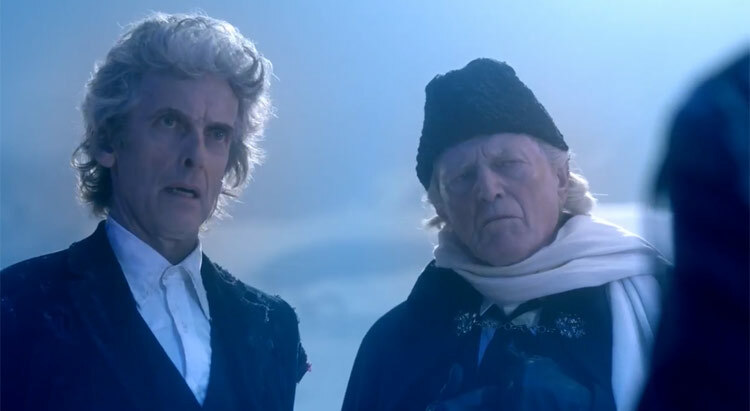 I agree that sometimes steven moffat takes liberties with the shows history occasionally but if you can merge the two successfully for special occasions i dont see why not. There are a few instances, and not just from the current run where i,ve had to suspend disbelief and choose to believe in different timelines or alternate universes. It would just drive you crazy overthinking these things. Or leave the ending open, with 12 Regenerating but the titles roll before we see the conclusion. 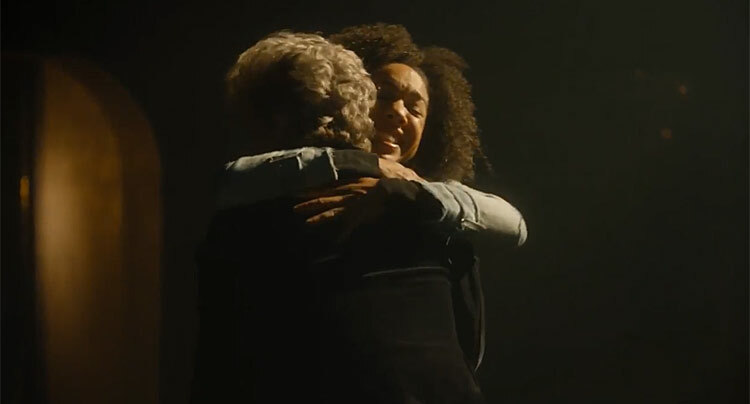 A short scene with 13 set soon after the regeneration, but not directly (with 13 in 12’s clothes) could air directly after the end of the credits, to allow those who wanted to see their first glimpse of 13’s character to get what they want as well. 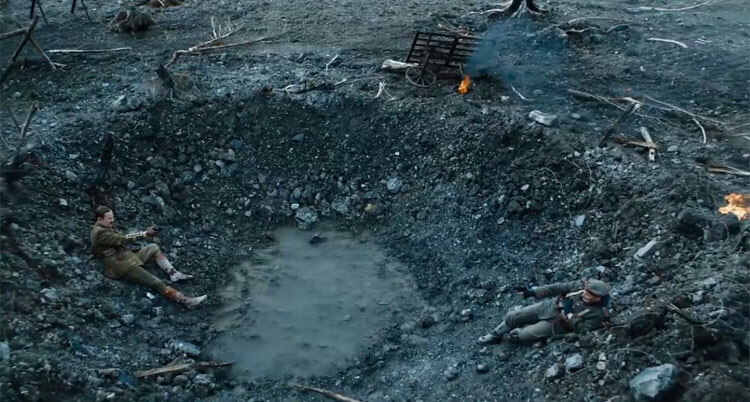 Perhaps they should provide us with two alternative endings. Ending 1) Regenerate into a woman. 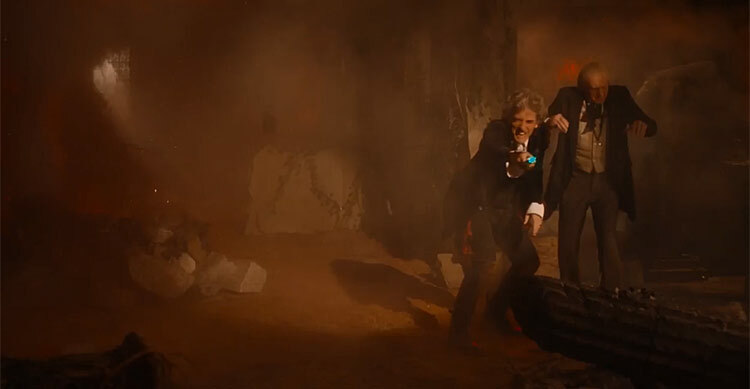 Ending 2) The Doctor is fatally wounded and cannot regenerate. That should keep both sets of fans happy. Continue the series with Whittaker, or end the series there. 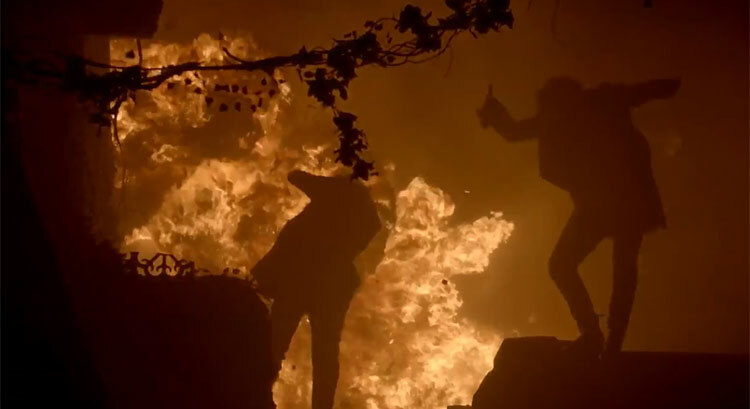 Moffat and his fanboy wish to trample on and rewrite or create his own history. Leave it alone! Retain the mystery! And keep the show going forward and original. 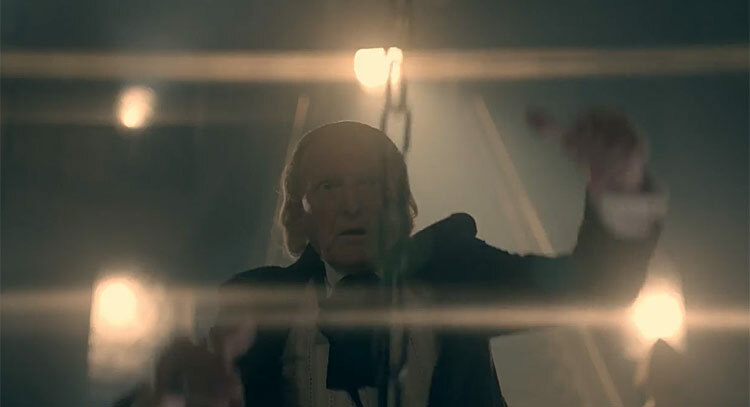 But the Clara stuff did edit the story of the Doctor’s escape from Gallifrey. He is meant to steal the TARDIS, not be pointed and baby walked by Clara into choosing what TARDIS he wanted to take. This is why I like to believe Name happened in another universe and that Time of the Doctor prevented it from happening when the Doctor didn’t die on Trensalore. Hes not rewriting history. Just working around the corners. Its just maybe adding extra scenes that will not affect that story. Its an add on, like all those scenes with clara in the name of the doctor. The point being you can do anything with time travel as long as it doesn,t alter the original concept i can,t see the problem. Rather like the fifth doctor just turning up with the tenth doctor in timecrash. 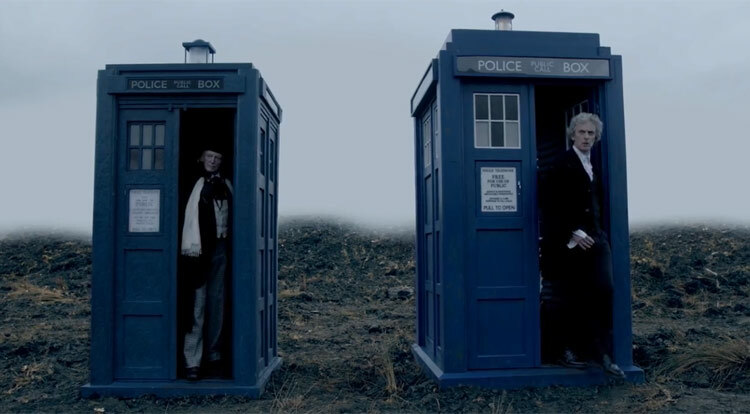 I like the timey wimey and time can be rewritten idea as long as its done in a subtle way and not overused. I agree with OP, I don’t want the tenth planet part 4 redone. That being said, in black and white the Golden Regeneration energy actually looks like the white fade effect of the original Regeneration. Mark Gatiss is playing the Rani. Moffat best re write ‘The Tenth Planet’ episode 4. It is be missing, which gives him every excuse to rewrite the established events. Moffat best not rewrite ‘The Tenth Planet’ episode 4. It may be missing, but that would be no excuse to rewrite established events. I don’t get it either. But it’s typical fandom, seeing patterns and thinking too deep about things. 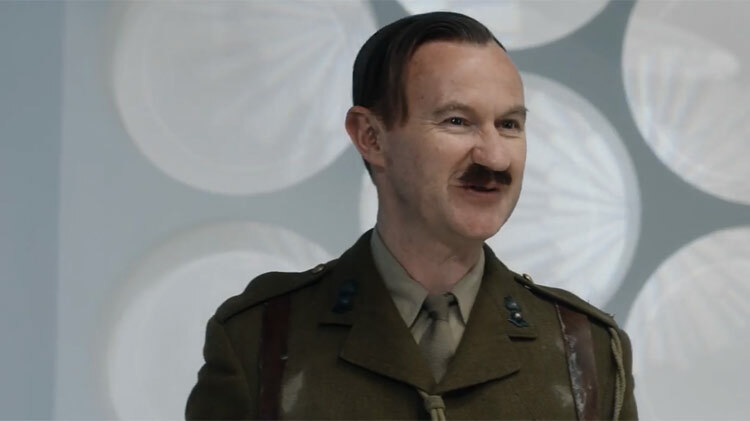 I think Mark Gatiss is simply playing a new character called ‘The Captain’. Simple. 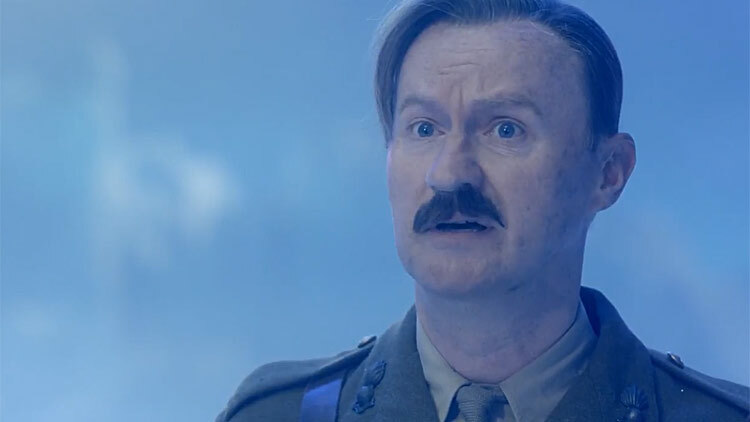 Why do people think that Mark Gatiss’ character is someone special? 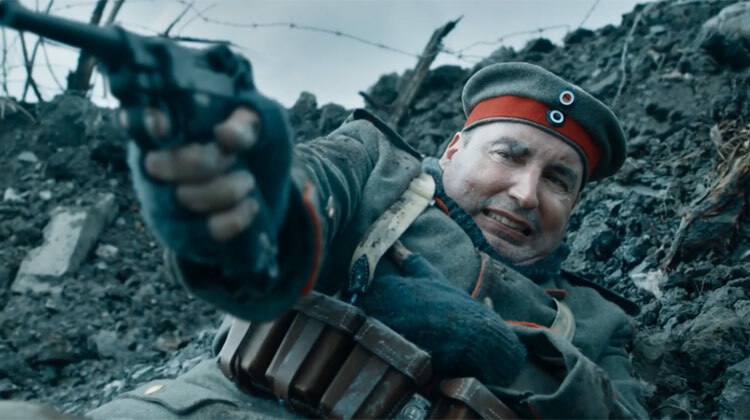 Why do people think he is the Brigadier or a relative? I am not saying there wrong I just don’t get why they think that. Terry Nation did did say that the Daleks WERE inspired by the Nazis and “Genesis Of The Daleks” does implicitly deal with Nazi inspired themes and beliefs. The Captain might be the Doctor’s old mentor k’anpo Rimpoche.. 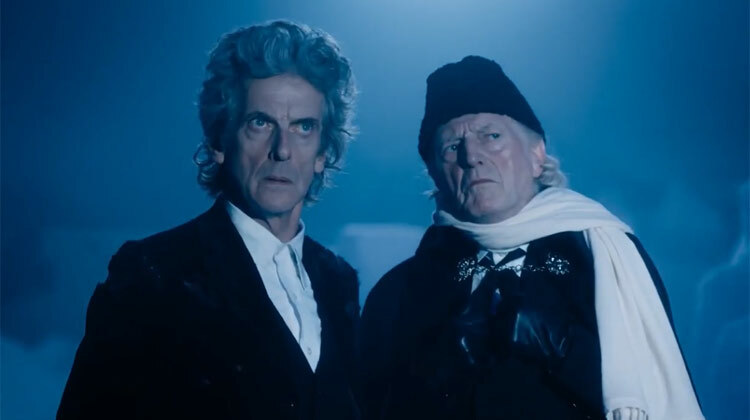 I cannot wait to see the christmas special to see the 1st and 12 th doctors meeting each other and to see how Bill comes back into the doctor’s life again. I love this trailer! 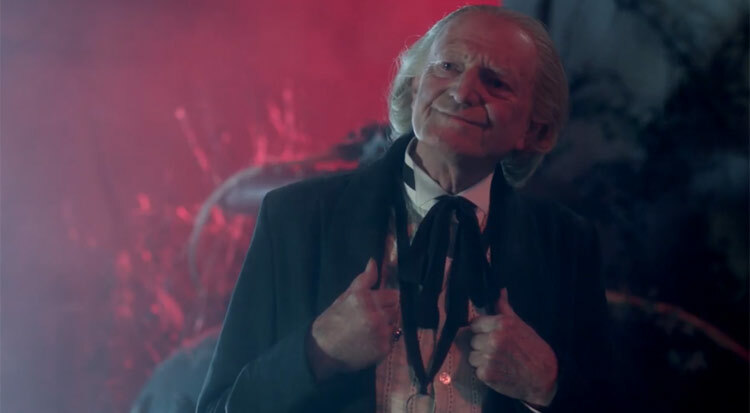 David Bradley does look great as the First Doctor. 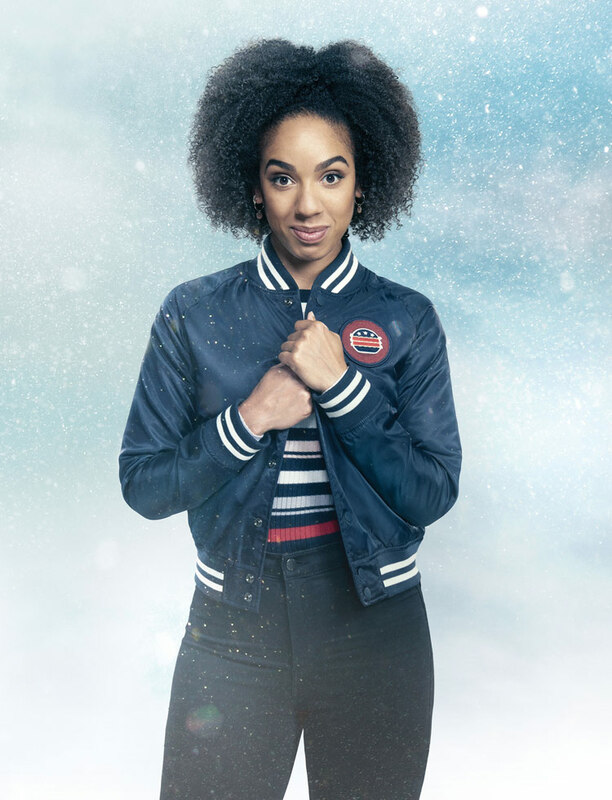 I hope we get a Big Finish series now. Mark Gattis’ Captain looks an interesting charachter . 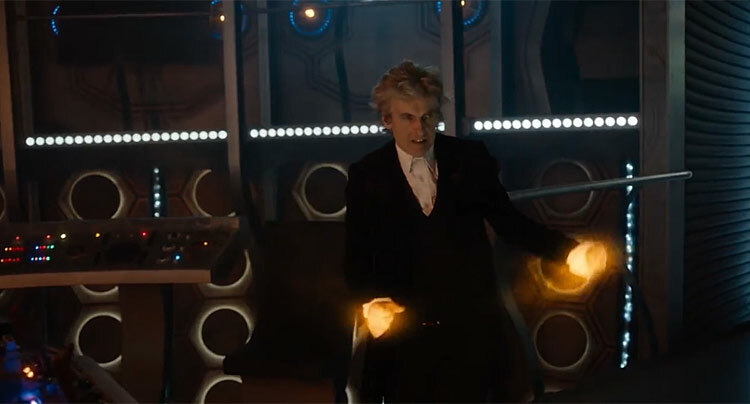 I’m reckon he’s a Timelord from the Doctor and the Masters childhood! I actually think it kind of fits with the 1st Doctor’s regeneration. The original scene shows his face glowing and, in colour, that could well be golden energy. Therefore it doesn’t contradict any previously established mythology in my eyes. Makes sense to use the same Actress, gives it more credibility. Moffat just can’t help himself messing around and rewriting the shows mythology…and NO it’s not clever! 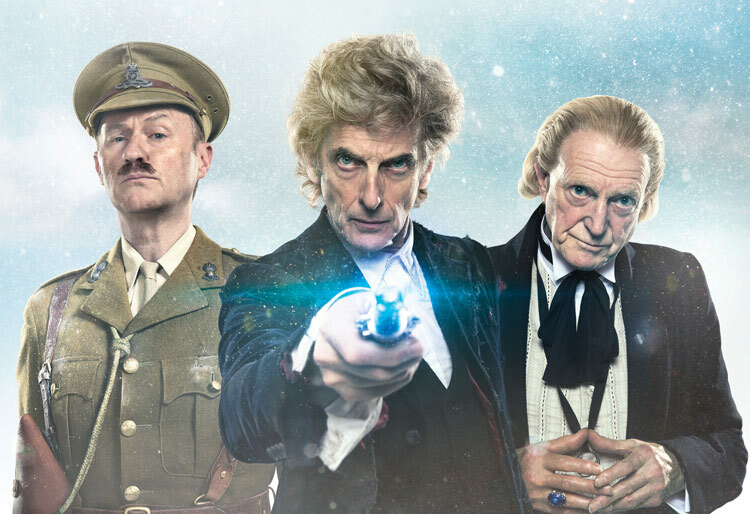 But the first Doctor never wore leather gloves….only the Master and the Rani did..and of course the third Doctor..No i think all is not what it seems..
Well if it is Hitler, we know who the episode enemy is! Never mind Daleks, Cybermen or the Master, Hitlers more evil than all of them put together, Hitler was a monster. If we have arrived in the middle of ‘The Tenth Planet’, I assume that the actress playing Polly is the same from the docudrama. And does that mean Ben appears? 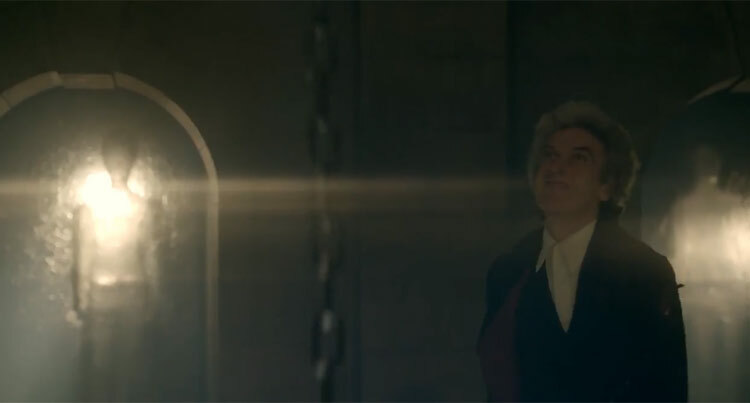 I rewatched it last night and Bradley’s last scene when he sees Matt (presumably the regeneration scene? ), then her costume is different… And it seems like the same actress to me?